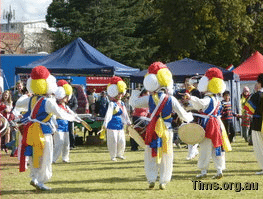 A blend of world cultures will come together this weekend for the annual Toowoomba Languages and Cultures Festival. Now in its 13th year, the festival will be a celebration of song, dance and food with this year’s theme titled – One World, Many Faces. 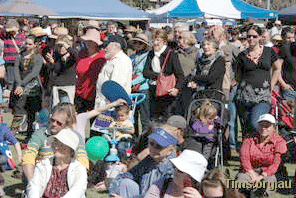 Held in Queens Park on Sunday, Toowoomba Regional Council Tourism and Events portfolio leader Cr Geoff McDonald said the award-winning event was a chance to showcase more than 200 different cultural groups that now call the Toowoomba Region home. “There will be a range of music on the day including Bustamento playing Carribean music, the Mad Mariachi Mexican Band, through to the African Fusion Band. There are also a number of local acts including the Ezidi Community Dance Group and Youth Dance. “The festival is a great day to share in the special traditions that each group is proud to display” Cr McDonald said. Ticket prices are $10 for adults with children under 18 admitted for free. Council partners with the Toowoomba International Multicultural Society (TIMS), the Multicultural Development Association, Centacare, Modern Language Teachers’ Association of Queensland (MLTAQ), USQ Multicultural Centre, Commonwealth Carer Respite Centre, Carers Queensland and Mercy Community Services to stage the day. The event is supported by the Queensland Government through Multicultural Affairs Queensland.